Sometimes we know we’re saying Yes too much but still can’t seem to say No. Try these tips to work out your No muscles. 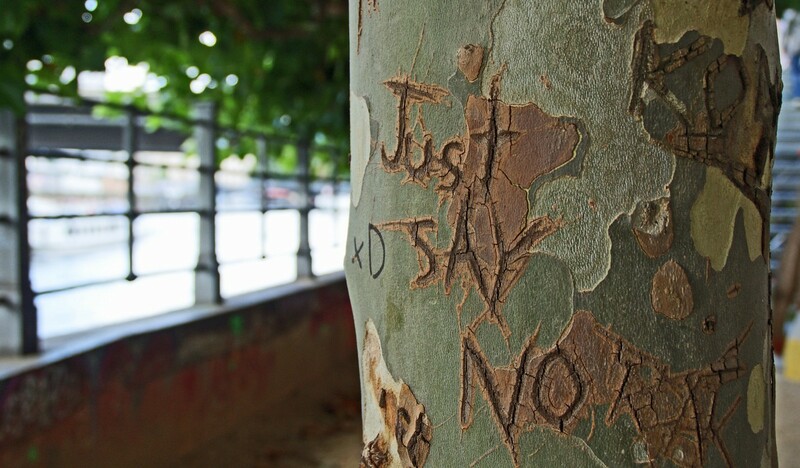 A lot of people have trouble saying No, largely because they say Yes too quickly and too often. While it would be easy to think that we say Yes too often because we don’t want to let other people down, there are many times we say Yes because we’re really excited about whatever we’re considering. Some of us get to the point where we know we’re saying Yes too much but quite literally don’t know how to say No. In that tense or exciting moment when a response is needed, we default to what we’ve created the habit of doing. So the yes-saying continues. Saying No becomes more difficult both because saying Yes has become a habit and because we tend to want to explain or justify saying No. Yes is easy — No, not so much. So it’s important to remember in those moments that “No” is a complete sentence. That said, it can be incredibly hard for us to let it be a complete sentence. Make the default to not say Yes. Rather than saying “Yes”, instead say “Let me check my schedule and commitments and get back to you shortly.” While you’re checking your schedule and commitments, you can also ask yourself the question of why you’d want or need to say Yes. You may end up saying Yes nonetheless, but at least you know how you can say Yes and what it might displace. For things you’re excited about and really want to do, provide a “tentative yes.” This lets your conversant know that you’re excited, but you need to — you guessed it — look at your schedule and commitments and get back to them. If you look at your schedule and commitments and can’t do it, you have an out. If it’s something that, upon further reflection, doesn’t align with your priorities or resonate, you also have time to figure that out and how to say that with integrity. Pro tip here: the more excited you are about something, the more you need to provide a “tentative Yes”, because if you’re that excited about it, you’re going to drop something else intentionally or unintentionally. Learn the difference between a problem and a problem that’s yours to solve. If it’s not a problem, you can think in terms of the difference between a project/idea and a project/idea that’s yours to commit to. Your reach will always exceed your grasp, so it’s best to stay focused on the things that are most aligned with your priorities and goals rather than taking on problems, projects, and ideas that aren’t really yours. If it’s not your problem, project, or idea, let it go. Bonus points if you can find someone else whose it is. Remember, it is better to commit to fewer things and see them through than to over-commit and continually be letting yourself and others down OR stay stuck in an urgency spiral brought on by too many Yeses.